BUFFALO, N.Y. - U.S. Attorney James P. Kennedy, Jr. announced today that Damion Christopher Alexander Brown, 43, a Jamaican national residing in Buffalo, NY, who was convicted of conspiracy to possess with intent to distribute 100 kilograms or more of marijuana, and bribery of a public official, was sentenced to 60 months in prison by Senior U.S. District Judge William M. Skretny. Special Assistant U.S. Attorney Jeremy Murray and Assistant U.S. Attorneys Paul Bonanno and Wei Xiang, who handled the case, stated that over a nine-month period between 2012 and 2013, Brown trafficked 100 kilograms or more of marijuana and bribed a United States Postal Service (USPS) carrier to deliver U.S. priority mail parcels filled with marijuana. 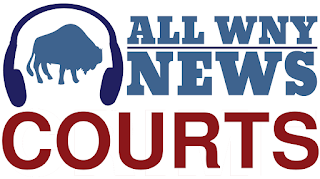 The defendant paid the postal carrier to provide addresses of unsuspecting citizens, who lived along the carrier’s route in Buffalo, to which parcels filled with marijuana could be mailed. When the boxes arrived in Buffalo, the postal carrier did not deliver them to the listed recipient address, but instead, held on to the boxes and handed them directly to Brown in exchange for cash payments. Today’s sentencing is the result of an investigation by Immigration and Customs Enforcement, Homeland Security Investigations, under the direction of Special Agent-in-Charge, Kevin Kelly; the Federal Bureau of Investigation, under the direction of Special Agent-in-Charge Gary Loeffert; the United States Postal Inspection Service, under the direction of Inspector-in-Charge Joseph W. Cronin, Boston Division; the United States Postal Service, Office of the Inspector General, under the direction of Special Agent-in-Charge Kenneth G. Cleevely; and the Amherst Police Department, under the direction of Chief John Askey.